BOSTON (Reuters) - A federal judge on Friday cleared the way for a lawsuit accusing Harvard University of discriminating against Asian-American applicants to go to trial, a closely watched case that could influence the use of race in college admissions decisions. U.S. District Judge Allison Burroughs in Boston rejected dueling motions by Harvard and a nonprofit group suing the Ivy League university to rule in their favor ahead of a non-jury trial set to begin on Oct. 15. The ruling came after the U.S. Justice Department, which has been investigating Harvard for potential civil rights violations over its affirmative action policy, in August threw its support behind the 2014 lawsuit by Students for Fair Admissions Inc (SFFA). The group, headed by prominent anti-affirmative action activist Edward Blum, has alleged that Harvard's admissions process, which factors in race, significantly disadvantages Asian-Americans compared with other groups. Burroughs wrote that rather than presenting her with undisputed facts and evidence that would allow her to rule without overseeing a trial, Harvard and SFFA had filed motions that were "essentially mirror images of one another." "Whether SFFA may prove its intentional discrimination claim requires a close review of the conflicting expert testimony, the available documents, and the testimony of the admissions office employees in the context of a trial," Burroughs wrote. Harvard in a statement said it does not discriminate against Asian-Americans and looked forward to defending itself at trial. The U.S. Supreme Court has ruled that universities may use affirmative action to help minority applicants get into college. Conservatives have said such programs can hurt whites as well as Asian-Americans. In court papers, SFFA claimed an Asian-American male applicant with a 25 percent chance of admission would have a 35 percent chance if he were white, 75 percent chance if he were Hispanic and 95 percent chance if he were black. 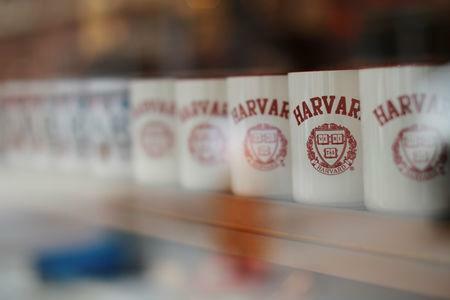 Cambridge, Massachusetts-based Harvard has denied that it uses a quota system or has engaged in "racial balancing." It has criticized the lawsuit as an effort to attack the right of colleges to consider race as an admissions factor. After President Donald Trump, a Republican, took office last year, the Justice Department began investigating whether Harvard's policies are discriminatory because they limit Asian-Americans' acceptance. Yale University on Wednesday announced that the Justice Department was also investigating it over similar claims. The university denied discriminating against Asian-Americans. Having recently run the gauntlet of university admissions with my daughter, I can assure folks there is plenty of bias in the selection process of the Ivy League schools. Forget race; wealth (or lack thereof) is another deciding factor. The bigger question is whether these enormously overpriced schools are worth the price of admission.